This is one of those hacks that you won’t believe you ever lived without. All you need is the desire to blow up your nonprofit Facebook engagement! Motivating your inner circle to engage with your page is the secret sauce here and you do that by creating an Amplification Committee. Select a group of 3-12 people to be your Amplification Committee. These are your board members, your staff, your volunteers, your biggest fans. People that you consider on the inside already, not the outer circle you’re trying to reel in. This isn’t terribly hard to do, but getting people to consistently follow through can often be the tricky part. That’s what this trick described below helps with. 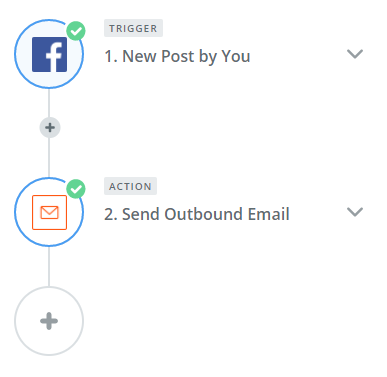 Here’s how to automatically send an email to each member of your Amplification Committee every time you publish a new Facebook post you want them to interact with. This is so much more effective than asking them to keep checking back on the page for when there is a new post. They’ll click right over from the email and comment – So easy! Zap Your Nonprofit Facebook Engagement! 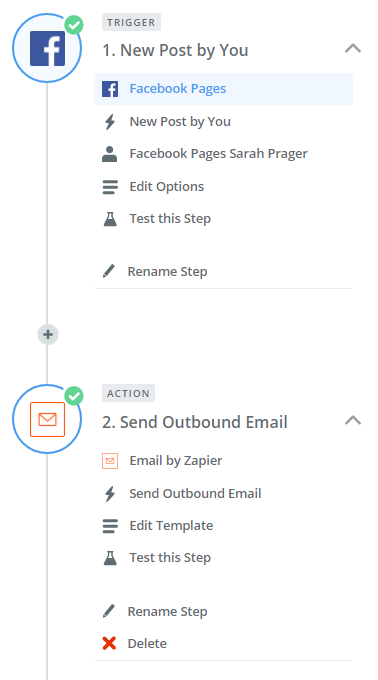 Set up this 2-step zap to help your Amplification Committee follow through on their commitment to your nonprofit Facebook engagement. Here is what all of the mini-steps within the two big steps look like. They’re all are very user-friendly — things like log in to Facebook when it asks you to and then select which Facebook page on your account you want to use this zap for when it asks you. 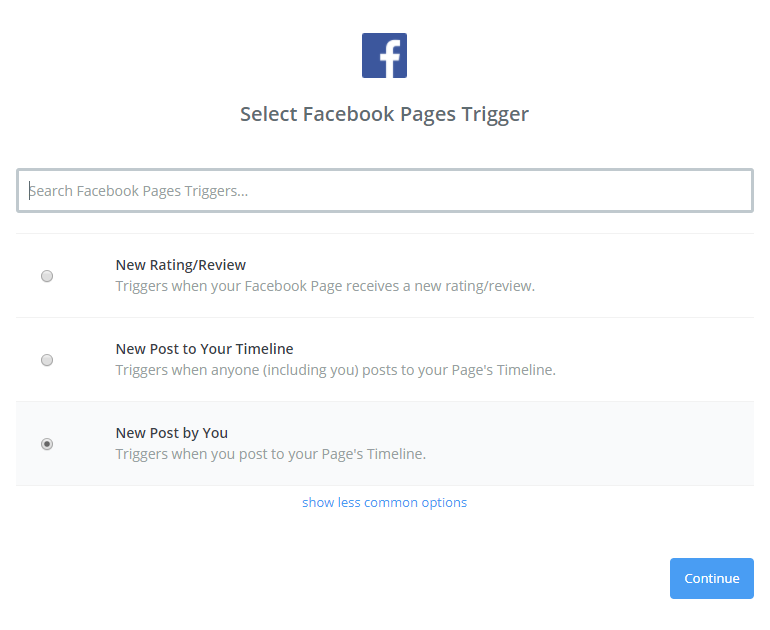 First, select that you want the trigger for this zap to be a post to a Facebook page. Since you are the admin, it’ll be fine for it to be triggered for a new post by you to the page. (This does mean as the page.) If you have more than one publishing admin, they’ll have to set this up themselves too. 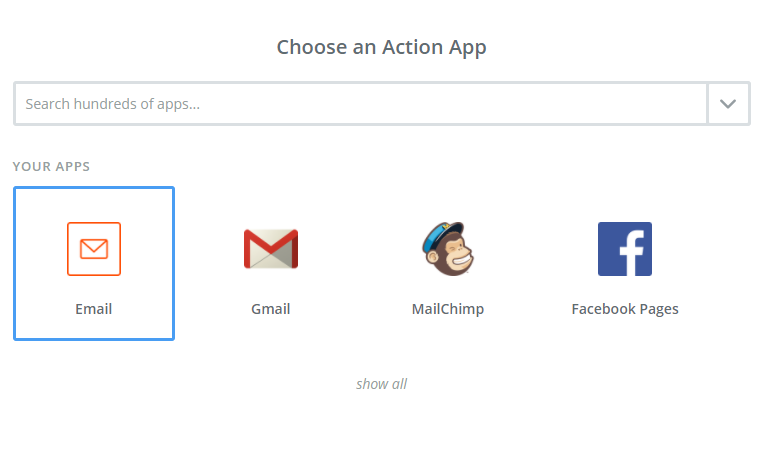 Now you set up the action to be sending an email. If you use Gmail, use Gmail here. You could use MailChimp as well, but that’s a little stickier. I recommend using Zapier’s built-in email option if you don’t use Gmail for communication with your Amplification Committee. Like the other steps, you’ll see what you need to enter. Have the From email be the email address that you use with your Amplification Committee normally. IMPORTANT: Also make this address the Reply-to email. Enter in the email addresses of the Amplification Team. TIP: It says you can only enter in 5 but you can also enter in up to 5 Cc’d emails and 5 more Bcc’d emails at the bottom so it is really 15! This does not involve creating a Zapier email account – you will not need to check another inbox for replies to this alert email. Just make sure you enter in the From and the Reply-to correctly. That’s it! 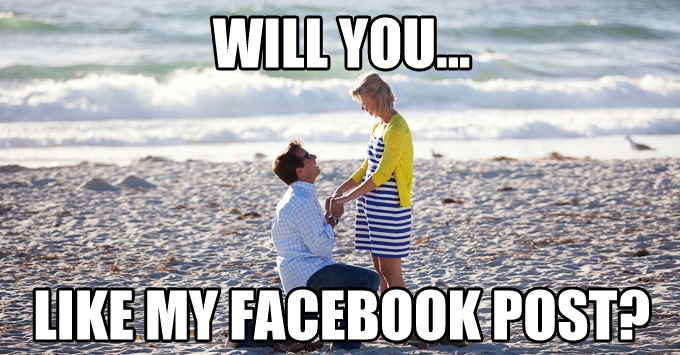 Enjoy your newly improved Facebook page engagement! Want more skills this like? Jump in to our e-courses right now!